Despite accumulating evidence in animal models that in vitro culture of oocytes and embryos can interfere with epigenetic genome reprogramming, little is known about the epigenetic risks of human assisted reproductive technologies. Nady El Hajj, Ph.D. and Thomas Haaf, M.D. Although assisted reproductive technologies (ART) have become a routine practice for human infertility treatment, the etiology of the increased risks for perinatal problems in ARTconceived children is still poorly understood. Data from mouse experiments and the in vitro production of livestock provide strong evidence that imprint establishment in late oocyte stages and reprogramming of the two germline genomes for somatic development after fertilization are vulnerable to environmental cues. 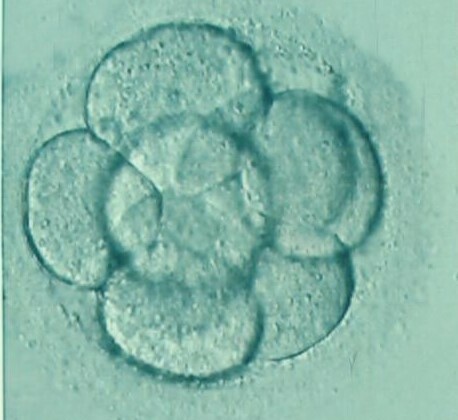 In vitro culture and maturation of oocytes, superovulation and embryo culture all represent artificial intrusions upon the natural development, which can be expected to influence the epigenome of the resultant offspring. However, in this context it is difficult to define the normal range of epigenetic variation in humans from conception throughout life. With the notable exception of a few highly penetrant imprinting mutations, the phenotypic consequences of any observed epigenetic differences between ART and non-ART groups remain largely unclear. The periconceptional period is not only critical for embryonal, placental, and fetal development, as well as the outcome at birth. Suboptimal in vitro culture conditions may lead to persistent changes in the epigenome influencing disease susceptibilities later in life. The epigenome appears to be most plastic in the late stages of oocyte and the early stages of embryo development; this plasticity is steadily decreasing during prenatal and postnatal life. Thus, when considering the safety of human ART from an epigenetic point of view, our main concern should not be whether or not a few rare imprinting disorders are increased, rather, we must be aware of a functional link between interference with epigenetic reprogramming in very early development and adult disease.